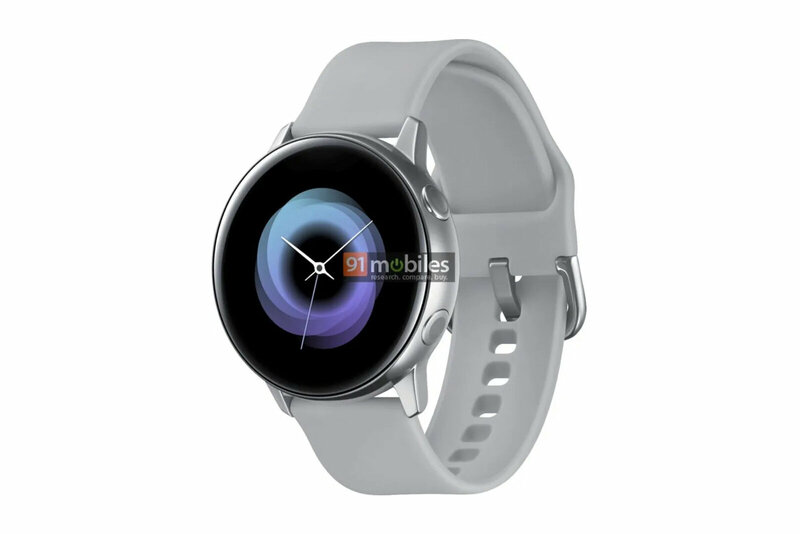 A steady stream of leaks over the last few weeks mean it’s almost certain Samsung will announce a new smartwatch soon, and a new render that’s appeared may give us our first clear look at its design. The new watch, which is expected to be called the Samsung Galaxy Sport, follows on from the Galaxy Watch, which was announced last year, but it’s set to be a more fitness-focused device. The render, which you can see below, was given to 91Mobiles by what the website calls a “reliable source”. We can’t vouch for that source, but 91Mobiles has a good history for getting leaks of this sort right. If the render is real, the watch is set to have a circular screen with two circular buttons on the right hand side for navigation. It looks far sleeker than the design of the Galaxy Watch, and we’d expect it to be lighter to make it more comfortable when working out. The watch shown here comes in chrome with a white band, but we’d also expect Samsung to offer a few other options for colors and straps. We don’t currently know if it will come in two sizes like the Galaxy Watch does. Although we don’t currently have a clear idea of the exact specs, we’d expect Samsung will include a heart rate sensor, GPS and normal step counting if it wants to compete with other popular fitness watches. Similarly, the Galaxy Sport will likely also have a waterproof build so you can take it swimming. We expect to hear about Samsung’s next smartwatch in the coming weeks, as the company is set to announce the Galaxy S10 (and perhaps other things) on February 20 and it may also announce something at MWC 2019.